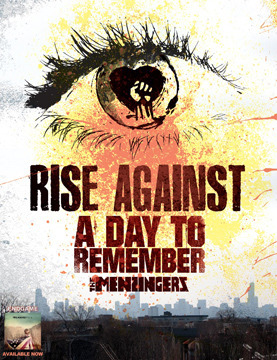 A Day To Remember will be supporting Rise Against on their tour in early 2012. The Menzingers will also be opening. Glassjaw will be playing on one date. ***Glassjaw will be joining this show.